I bought this car in early 2004 with my tax return money. I had always wanted a second car to learn how to tinker on. I actually bought the car a month or two before BFest was right here in Denver Colorado! But as I was so new to the car I didn’t have the passion and enthusiasm for the car and the community that I do now and didn’t attend. She was a 1989 Base model with beat blue interior and bone stock save for a remote start system, a hole ridden aftermarket exhaust and old faded tinted windows. Shortly after I bought the car my friend turned me onto to junkyarding. HOLY COW did I learn a lot about this car in a short period of time! All the models produced, different engines, seat styles, different body kits, suspension bars and so more! That and the knowledge base that is Beretta.net turned me into an addict very quickly. The car went through a lot of different looks in a rather short period of time but one look caught my eye in particular… the GTU look. And after going through three different interior colors / setups I finally rounded up all I needed for a black interior, save for the dash. Not only was I a fiend for the GTU look and equipped the car with a full GTU kit but I also stumbled onto the world of European Berettas and quickly fell in love. I became a sucker for rare European parts and acquired them just as fast as I could actually find them and click “Send Payment” on PayPal. Today, the car is a GTU mock with the most complete Euro conversion outside of the European states. And yes, I am VERY proud of that fact. The car has been through a lot in its lifetime; Autocross, Rallycross, “off-road” camping trips, hellacious snow storms, two accidents and more. I have definitely put her through her paces. 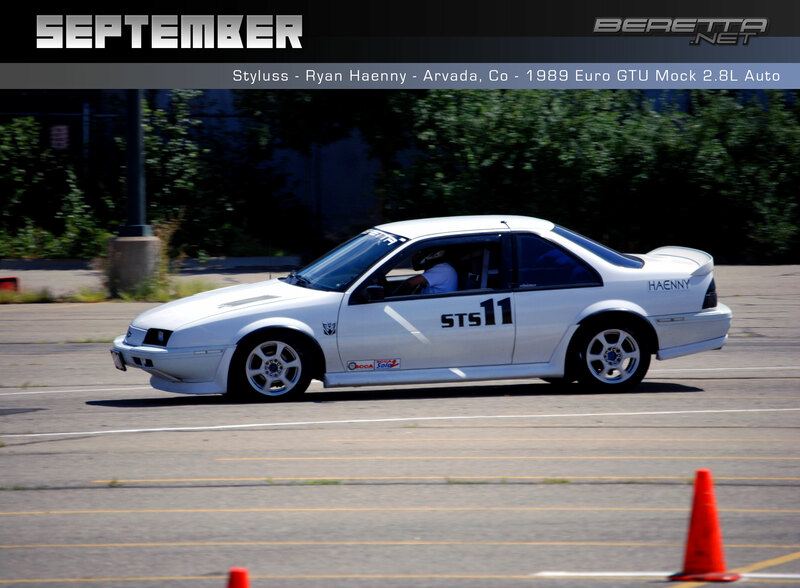 But she has been awarded for it all as well; it has earned a podium finish at many Autocross and Rallycross events, first place in a car show, first place at local Rallycross events, second place at a National Championship Rallycross, first place at a National Challenge Rallycross and even Best Modified Late Model Interior at BFest Denver 2013! Not to mention she has been spotted in SportsCar Magazine three times! One was even an article with an interview! Nothing makes me smile like having someone come up to me and say “You really know how to drive that thing!” Especially when they find out it’s an automatic! All in all the car is well known in the Colorado automotive community as well as within the Beretta community. Well, that’s my obsession in a nutshell! I would love to answer any questions you have about me or the car so please, feel free to ask! Thanks for taking a look at my baby!